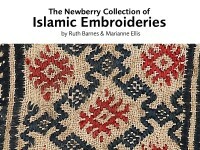 An unpublished catalogue of the Ashmolean’s collection of Islamic embroideries from Egyptologist Percy Newberry, by Ruth Barnes and Marianne Ellis. 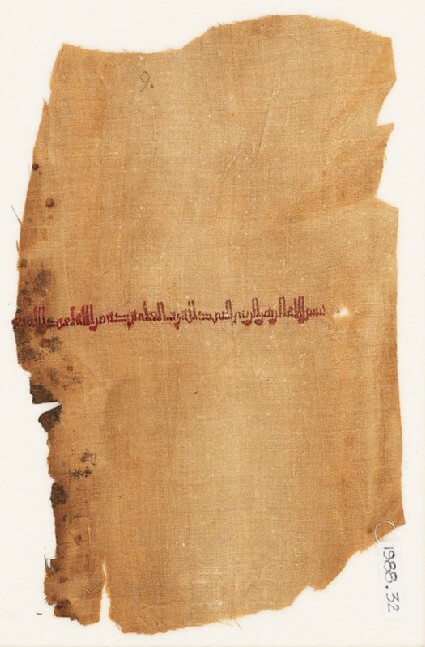 A tiraz fragment with a red inscription which reads: "Bismillah al-rahman al-rahim al-hamdu llilah rab al-'alamin barakat min allah li 'abd allah" (In the name of God, the compassionate, the merciful, praise to God, Lord of the Worlds, blessing from God on the servant of God). The original accession card dates the fragment to the early 10th century Egypt.